I already posted about my high school reunion. The reunion was one of the things I did on vacation, but there was plenty more. We started the vacation by driving to my mother-in-law’s house in Kentucky. We had dinner, went to bed and then got up the next morning to head to Indiana University for a college tour. 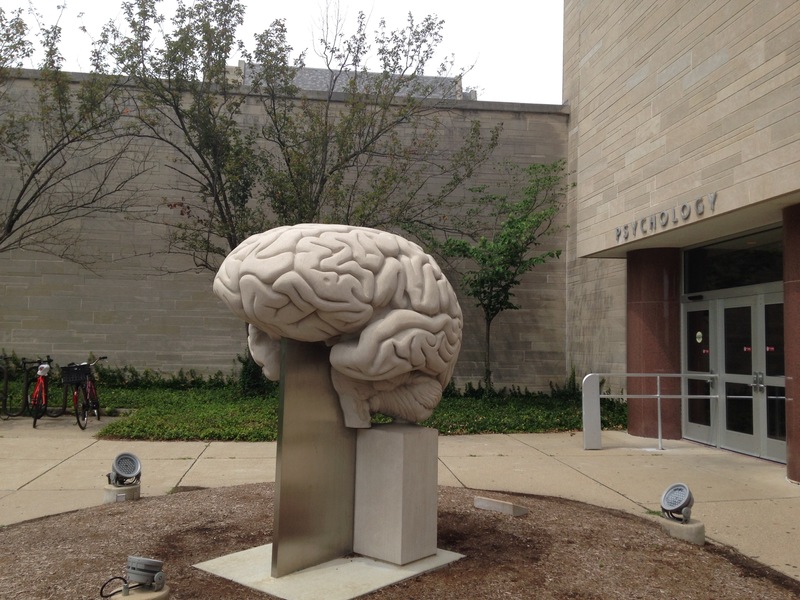 At the end of the tour I finally found a brain bigger than mine. We left Bloomington and drove to St Louis. 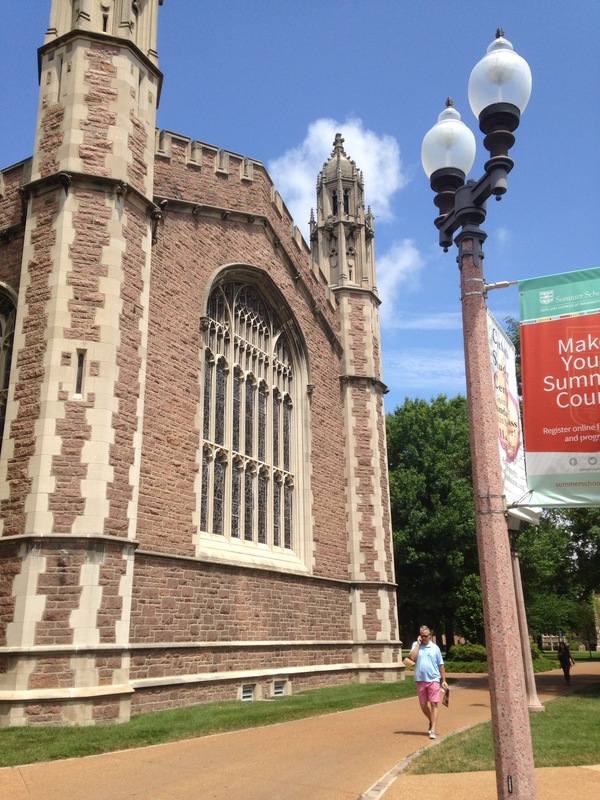 The next morning we went on a tour of Washington University. It was a very nice campus, but miserably hot that day. They did give the students a free lunch and the entire family a nice water bottle. We left the university and headed down to Grant’s Farm. I was skeptical and didn’t know if it was worth the trouble of going just to see the Clydesdales, but there was so much more. It was a fun place(with free beer samples) and worth the drive down. 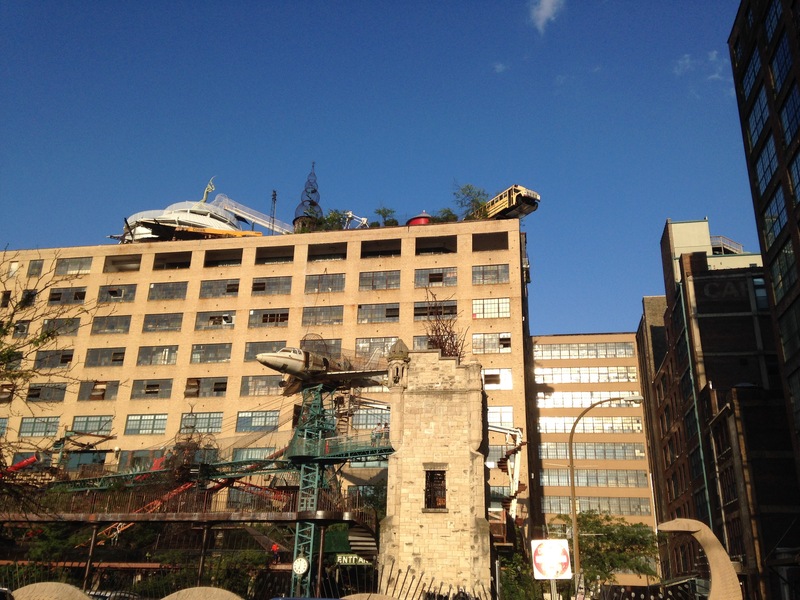 While we were in St Louis we went to the City Museum. It was an interesting place and we had a lot of fun climbing around inside. I did bump my head several times and still have the mark. It’s also very hard on old knees. Everyone in the family chickened out and didn’t go down the 5 story slide. After City Museum, we went to the Arch. The tram up was a little claustrophobic, but worth it. 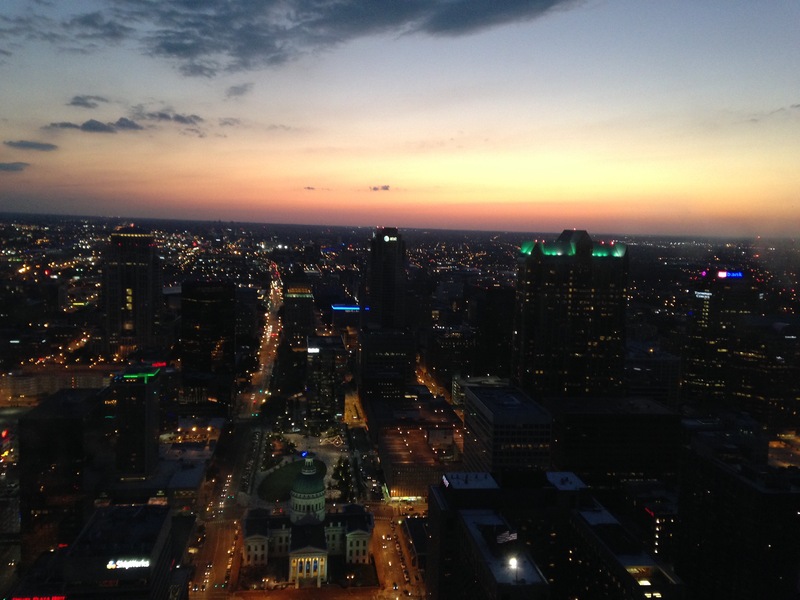 We were probably in line longer than we were in the arch, but the views were great. After St Louis we went to Bowling Green, KY for the reunion and to spend time with family. On the way back out of town, we went on a tour of my alma mater, University of Kentucky. We toured the dorm where I lived as a freshman. Well, it had the same name, but it was a completely different dorm than where I lived. This entry was posted in Uncategorized and tagged college, college tours, indiana university, st louis, travel, University of Kentucky, washington university. Bookmark the permalink. So are you exhausted now? That was a packed vacation!